[Both] a rousing action thriller...[and] near-parody of the rah-rah American military adventures that filled screens in the '40s and '50s. 117 min. Universal Pictures. Directors: Jonathan Mostow, James M. Arnett. Cast: Matthew McConaughey, Bill Paxton, Harvey Keitel, Jon Bon Jovi, David Keith. Writer-director Jonathan Mostow's U-571 (co-written with Sam Montgomery and David Ayer) poses a tricky question. On the one hand, it's a rousing action thriller, well made to be what Mostow calls a patriotic, "good old-fashioned war picture." On the other hand, the plot he's chosen—in which the U.S. Navy daringly captures a German Enigma code machine—can fairly be regarded as a slap in the face to history, all but ignoring the role of the British (who in real life captured and cracked the Enigma codes, as told in 2004's Enigma, scripted by Tom Stoppard). 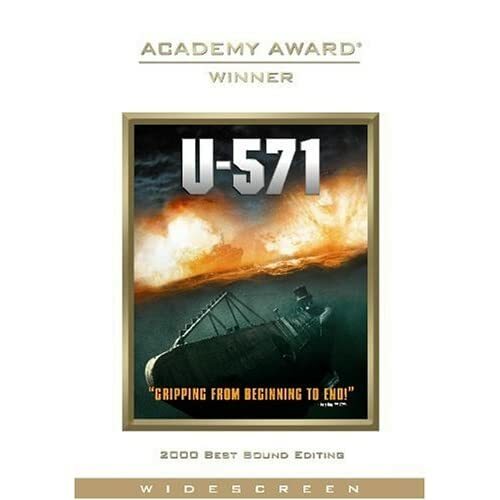 In essence, then, U-571 is an anachronism, a humorless near-parody of the rah-rah American military adventures that filled screens in the '40s and '50s. Mostow nearly overcomes the fundamental issue with his action prowess. U-571 slickly emulates Wolfgang Petersen's Das Boot (even grabbing that film's production designer Götz Weidner to work with Wm Ladd Skinner). With Hitler's U-boats on the prowl in the North Atlantic in the spring of '42, the Allies are desperate to crack the new U-boat radio codes. So the American S-33 sub ("She's old, but she'll hold") ships out on a secret mission to steal an Enigma machine from a damaged German sub, U-571. Lt. Cmdr. Mike Dahlgren (Bill Paxton) has only just told his executive officer Lt. Andrew Tyler (Matthew McConaughey) "You're just not ready for a command of your own," but circumstances conspire to teach Tyler the difference between a x.o. and a commanding officer. The repeated near-misses that save the American crew aren't played as credibly as the numerous crises, but Mostow and cinematographer Oliver Wood effectively capture the claustrophobia of a submerged sub even while employing dynamic camera work. Every moment is calculated for a specific effect (no time for chit-chat), mostly in dramatizing the conflict between the crew and Tyler (who gets his shot to step up to command). Harvey Keitel plays the oldest man in a crew of teenagers and twenty-somethings, and he nicely plays his internal conflict of doubt and the enforced trust of the chain of command (David Keith also turns up as a crusty Naval Intelligence man). Though the close-quarters camera at times make him look like he's mugging, McConaughey demonstrates his fine focus, and the ensemble of Jake Weber, Jon Bon Jovi, Matthew Settle, Will Estes, and Tom Guiry (among many others) ably remind us that the phrase "our fighting boys" can be taken quite literally. Universal boards the Blu-Ray submarine craze with this next-gen reissue of a popular catalog title. Every pore, hair, and bead of sweat is clearly visible in this terrific transfer: for a submarine movie, the image has plenty of pop. The transfer's level of technical proficiency shows the most in the darkest scenes, as black level doesn't crush the details; color is also beautifully rendered, and no digital artficats rear up in the choppy waves. 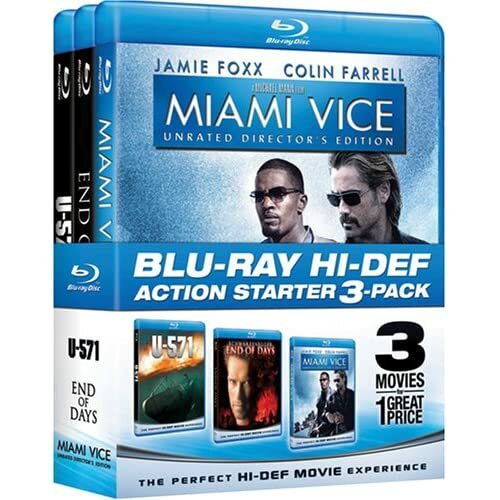 The Oscar-winning sound mix is replicated in a boffo DTS-HD Master Audio surround track. The principal bonus feature is a Feature Commentary with director Jonathan Mostow. He keeps up a steady pace while discussing history and the film's accuracy, casting, special effects, music, sound effects, his preference to limit CG and favor practical effects and miniatures, why it was important to have two depth charge sequences, and why he doesn't see himself as an action filmmaker. To feed the Universal-brand U-Control experience, most (not all) of the video-based extras from the previous DVD have been repurposed as part of a Picture-in-Picture feature. With U-Control enabled during feature playback, an icon prompts the viewer to bring up cast and crew interviews, storyboards, newsreel footage, and behind-the-scenes footage, when available. Here you'll find comments by Mostow, producers Martha and Dino De Laurentis, Jake Weber, Matthew McConaughey, Tom Guiry, Bill Paxton, T.C. Carson, marine consutant Lance Julian, visual effects supervisor Peter Donen, Derk Cheetwood, Dave Power, cryptologist David Kahn, David Keith, Matthew Settle, Jon Bon Jovi, Jack Noseworthy, Erik Palladino, and Thomas Kretschmann, ending with a pitch for preserving U-505. 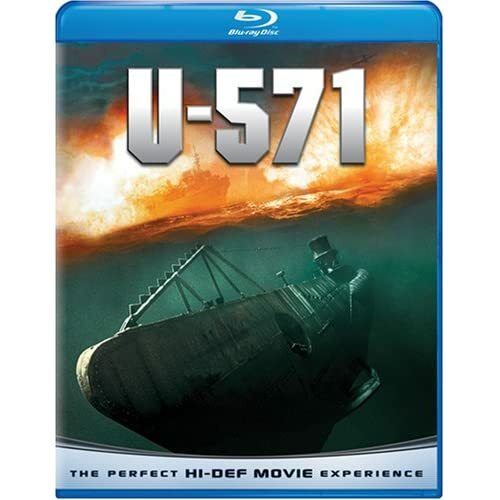 U-571 is a solid actioner and a good demo disc to show off to your friends what Blu-Ray can do for them. All site content © 2000-2019 Peter Canavese. Page generated at 04/23/2019 07:38:48AM.